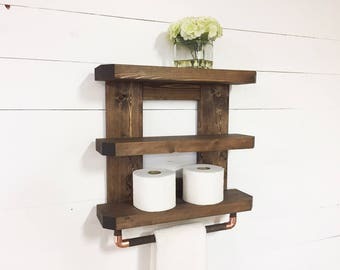 Handmade in the USA out of white pine and stained in your choice of finishes (Espresso shown, see swatch picture for available finishes), this 2-tiered bathroom shelf and towel rack measures 17"T x 23"W and is 6" deep. 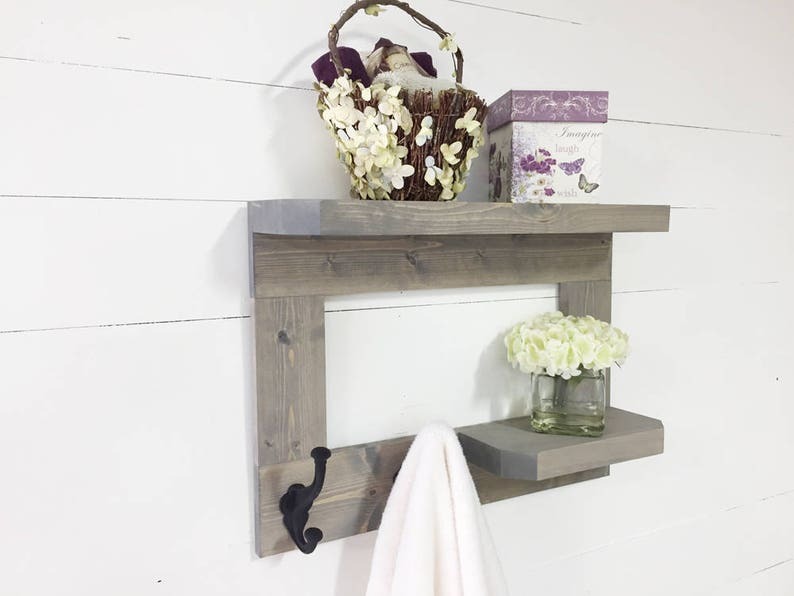 Includes 2 decorative heavy-duty, oversized towel hooks as well as 2 heavy-duty metal D-ring hangers pre-mounted on the rear and wall mounting anchor hardware. Proudly display this handmade, high quality creation instead of a factory produced piece. Perfect for wedding, shower and housewarming gifts!! 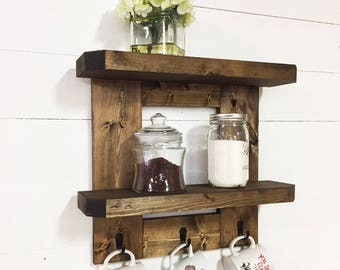 Products by Mountain Creek Woodworks are proudly handmade in a barn in North Georgia. All items are constructed from quality lumber and topped with fine finishes. If you appreciate these qualities over foreign factory produced fakes, then Mountain Creek Woodworks is for you. *We produce a large number of these at one time stained in Espresso and these usually ship within 1 business day. All other finishes are stained to order and usually ship within 2-3 business days. Beautiful craftsmanship!! 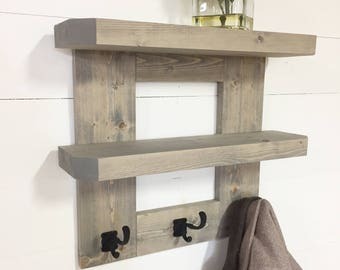 Love both pieces you made us! !